2. 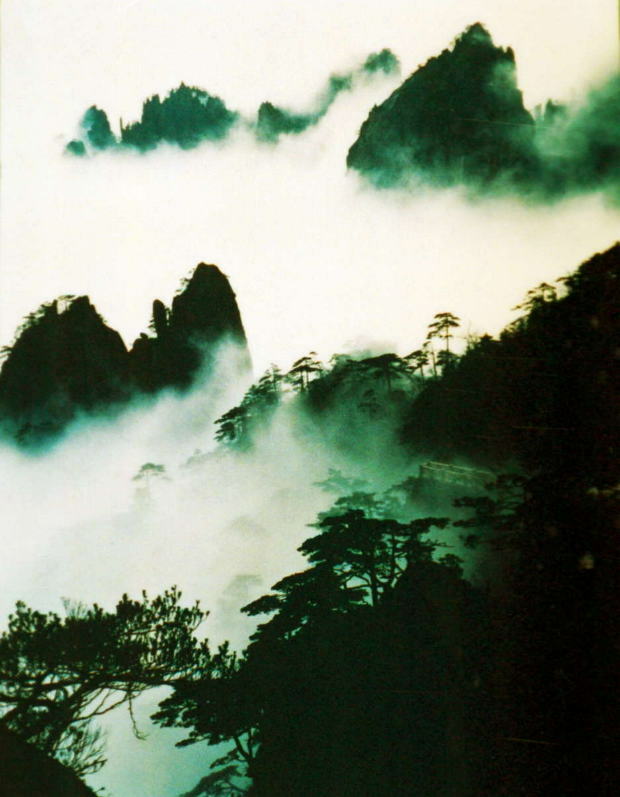 ILAC Exhibition of Chinese Landscape Photographs. This is a truly magnificent collection of almost fifty pictures of the most beautiful and spectacular views in China: you will not regret any effort that you make in getting to see it. The Lord Mayor, Councillor Michael Mulcahy, will officially open the exhibition at 1pm on Monday the 1st October: the Chinese Ambassador, Her Excellency Ms Zhang Xiaokang, will be present. Following the opening ceremony and a tour of the exhibition, a light buffet will be served. All members are welcome to attend the opening or at any time through out the month of October, subject to the normal opening hours of the Central Library (10.00 - 20.00 Monday to Thursday, 10.00 - 17.00 Friday and Saturday). Films to be screened in the Activity Room every day at 1.00pm Lunchtime. On May 19th, ICCS members were guests of the Director and staff of the Gardens for a morning tour. The Chinese Ambassador was on annual holiday in China and was represented by Councillor Li Yuanming and Secretary Ll Liqun. Our tour began in the library with coffee/tea followed by a most interesting talk by Sarah Ball, the librarian, who showed us a number of watercolour botanical drawings and 'plant portraits' by Irish artists, just a few in a collection of over 300. The Foreman, Paul Maher, showed us a diagram of an exciting area (we later saw the site), to be devoted entirely to Chinese plants. When the Ambassador visited the Gardens last autumn, she suggested such a garden-within-the garden and little time was lost in planning this. 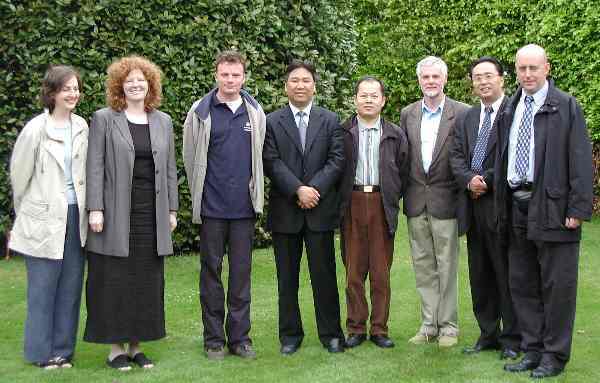 Left to Right: Sarah Ball, Felicity Gaffney, Seamus OBrien, Counsellor Li Yuanming, Dr Da-Wen Sun, Donal Synott (Director, Botanic Gardens), Li Liqin and Paul Maher. Sarah let us examine some of the rare books in her care, and reminded us that, while the library is not open to the public, It is possible to do research on things botanical by appointment. Our walk around the Garden took us first along the peony beds, our national collection and just at the bud stage in mid-May. Everyone was quite excited to come across the new Chinese plant site, which occupies the steep slope in back of the Rectilinear Range glasshouse, and going along its whole length. Basic clearing and work was just underway and when it comes to planting, the gardeners will have to work wearing mountaineers harness due to the angle of the slope. So it will not be a walk-through area, but one to be studied from above or below with the help of posted 'maps' As well as the Director, Donal Synott, Education director Felicity Gaffney, Sarah Ball, and Paul Maher, we also had with us Seamus 0Brien, botanist explorer, who has been very involved in collecting and sourcing plants for the new area as well as another (on level ground) just planted. Seamus had intended to take a special exhibition to Chelsea this year, devoted to the collecting done in China by Augustine Henry in the 19th C.
Foot-and-mouth put a stop to this plan, but it will be presented, instead, at the Chelsea Flower Show In 2002. We really enjoyed our visit: the Gardens were lovely in tender Spring green, shrubs in bud or just in bloom, the Handkerchief Tree showing its off-white bracts, which look like doves to some. Many thanks to the garden staff for guiding us around. 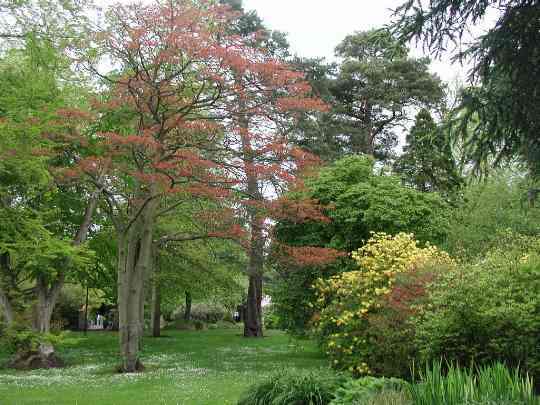 To ICCS members who were unable to join us, do visit the Botanic Garden on your own- lovely at any time of year. Having fed our souls, our bodies needed feeding as well, neatly catered for in the Botanic Garden's new restaurant, open for full meals at lunchtime or just a snack. .ICCS Barbecue Sunday 17th June. The ICCS hosted its annual barbecue on the 17th of June. Our sincere thanks to Anita and Norman OGalligan for making their home and garden available for this event. 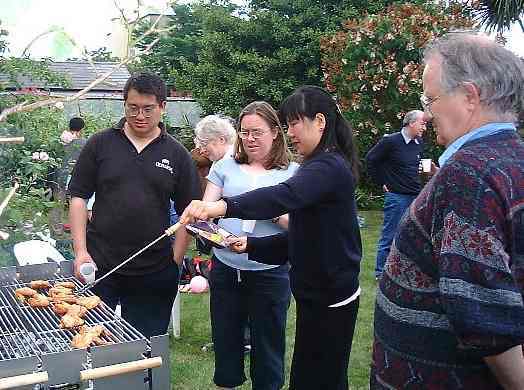 This barbecue is one of the most popular events in the cultural Societys calendar. Over 80 members, guests and students had a great time feasting on all of the fine food cooked on the day. We must also thank Norman for the use of his new, King-size, barbecue, which nearly didnt happen. He informed me that this barbecue was getting its first outing, having been assembled that morning. 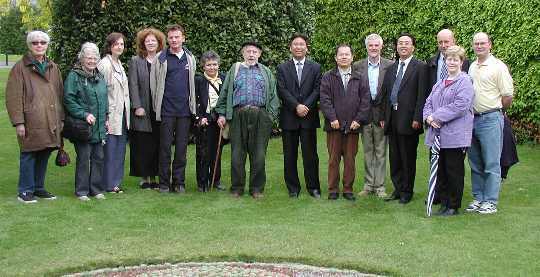 Robyn (in stripes) born in China with Irish Parents. 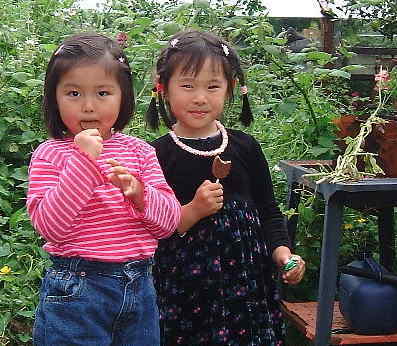 Angela (in Black) born in Ireland with Chinese Parents. Photo Irish-Chinese Cultural Society Barbecue June 17th. The instructions said a half hour, Norman took two hours. The instructions must have been very badly written, as I know Norman is a whiz with his hands. The barbecue worked a treat and every one got well fed from its use. The array of cold food brought, and the great variety of food cooked, satisfied all; in fact, fears of bursting were expressed by some. Good food, Good company at the ICCS barbecue June 17th. The weather, too, was very favourable: not the sunniest, but warm and dry - a bonus by any Irish standard. This was a great day, and a real opportunity to relax and discuss the topics of the hour. A chance to meet old friends, make new ones, and get to know some Chinese Students studying here in Dublin. Even Da-Wen was seen handing out membership application to plenty of potential members. 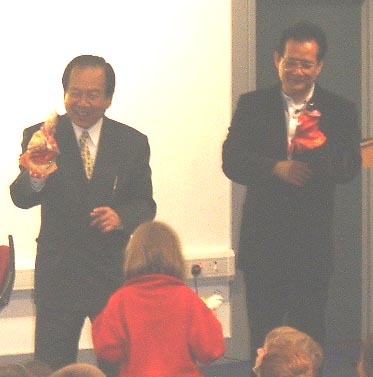 Mr Chung Jen-PI, director of the Hsin-Hsing-Ko Glove Puppet Theatre has performed with his troupe In Japan, Korea, France, Germany and the United States as well as China, of course, and on June 4th Ireland was added to the list with two performances, one at the Chester Beatty Library and one In Dun Laoghaire. 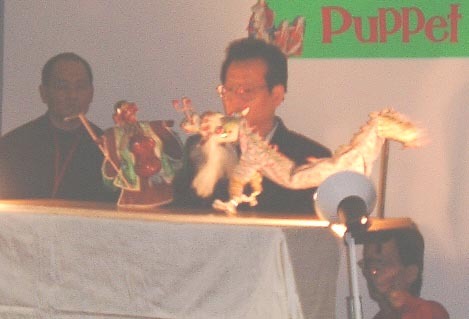 Rather short notice of their arrival here made it impossible for the CBL and the ICCS to publicize the performances, but at least 40 children somehow found out and took their parents to a delightful demonstration of the 'martial' style of puppetry perfected by the group, several generations of the same puppeteering family. Even though an airline had mislaid their theatre, Mr. Chung simply used a table as stage. Impressively, there was a puppet for each child to take home; and members of the family were generous with their time in teaching the basics. Mr. Chung Jen-Pi, please come back! 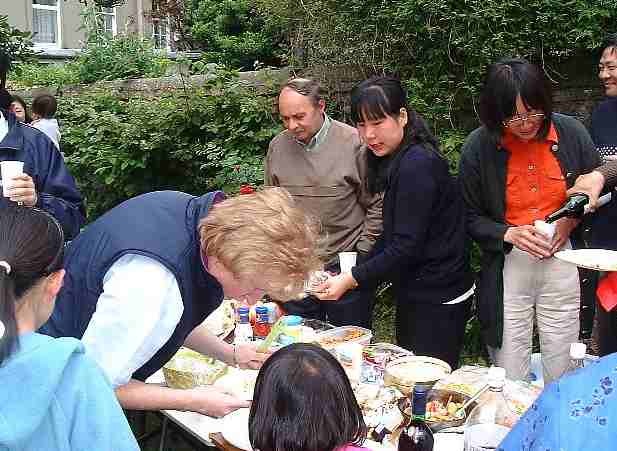 The Cork Chinese Contact Group (CCCG) held its first summer picnic on July 14th at the home of Peter and Rosalind Ross in Drimoleague, Co. Cork. There were approximately 100 who attended this picnic which is hoped to become an annual event in the CCCG calendar of events. 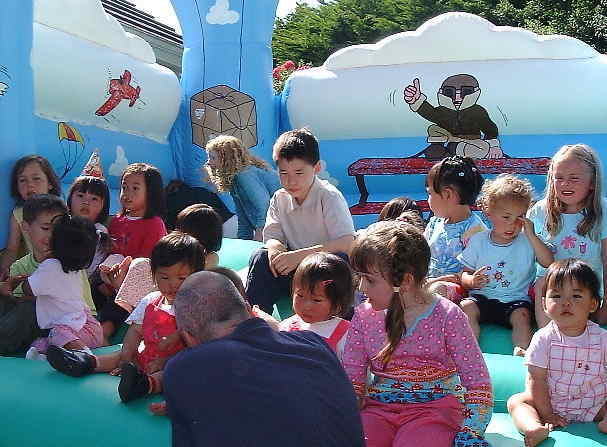 Of the 30 children at the picnic, 14 were adopted from China. The kids had good fun whether doing gymnastics on the bouncy castle, being creative in the sandpit or running about the various tunnels and slides. The adults got a chance to renew acquaintances and enjoy the tasty food on offer. The weather co-operated and it made for a very enjoyable day for all. The Three Tenors Forbidden City Concert was held Saturday evening in a square once only used by China's royal family.Chinese Vice Premier Li Lanqing, along with an audience of 30, 000 Chinese and foreigners, appreciated the concert, which was regarded as a rare cultural feast for opera aficionados worldwide. 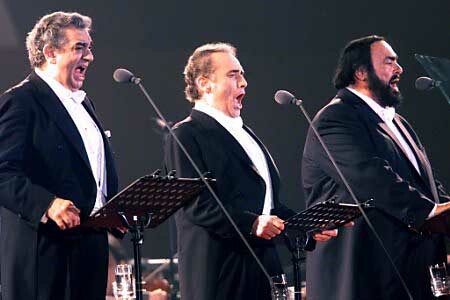 The three top tenors, Luciano Pavarotti from Italy, and Placido Domingo and Jose Carreras from Spain, performed together in China for the first time on Saturday, the International Olympic Day. Accompanied by a symphony orchestra and choir, the three tenors sang well-known arias and popular songs, ranging from Turandot to the Hollywood hit Moon River. The three singers expressed their support for Beijing's bid to the host of the 2008 Olympic Games, getting applause from the audience. The concert was jointly sponsored by the Beijing Olympic Bid Committee (BOBICO), China Central Television and the China Council for the Promotion of International Trade. The concert was broadcast live on television to a possible viewing audience of 3.3 billion in over 110 countries and regions worldwide, organizers estimated. The Olympic Green will be the center piece for the Olympic Games. It covers a total area of 1,215 hectares, of which 760 hectares will be wooded areas and greenery. 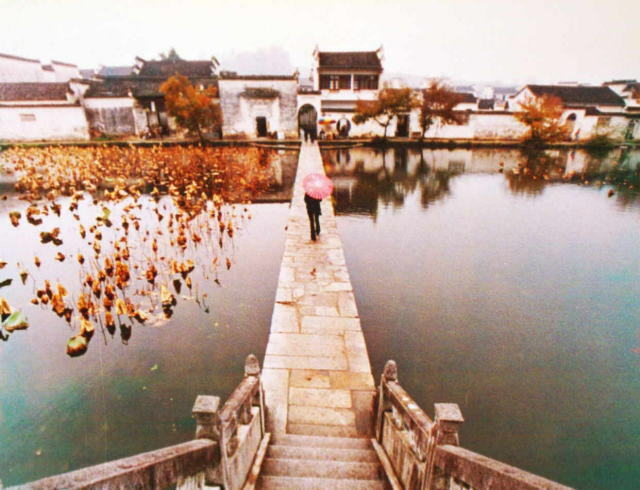 The remaining part of the Olympic Green consists of the Chinese Ethnic Culture Museum that occupies 50 hectares and the China International Exhibition Center (CIEC) that is 405 hectares in land area. The Olympic Village and nearly half of the Olympic venues will be located in the Olympic Green, including the National Stadium where the opening and closing ceremonies of the Olympic Games will be held. 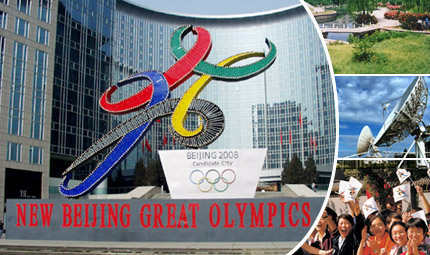 The Olympic Green will host the competitions of some 15 Olympic sports in 2008. Located in the northern tip of the city's central axis, the Olympic Green will become a center of cultural, recreational and sports activities in Beijing after the Olympic Games. Chinese People celebrating the announcement of Beijing as host of 2008 Olympics. The committee and members of the ICCS extend their best wishes for a speedy recovery to Dr. Fergus Gaines, former ICCS President, who took ill in late May and is now recuperating after a spell in hospital. Attention all families who have adopted or are in the process of adopting, there is a new internet group to discuss and air any issues on adoption. Colm Coleman, 3 Pacelli Ave., Sutton, D13.